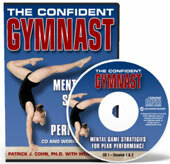 Distractions are EVERYWHERE in gymnastics, which makes winning the mental battle more difficult than the battle against other gymnasts. All these distractions are battling for your attention, but in order to perform your best, you need to focus on one thing… your routine. How in the world can you focus with all these competing distractions in your mind? First, it is important to understand that most distractions come from your own thinking patterns. These external distractions can turn into internal distractions when you give them energy. Secondly, you are in control of your focus. 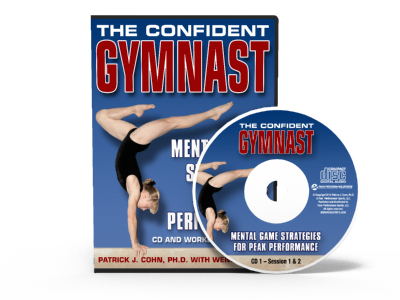 The use of cue words is one effective method elite gymnasts use to stay focused in the present moment, immerse themselves in their routine or block out distractions. Cue words are mental reminders that help you stay focused on what you need to do. They can be turned into a mental choreography of your routine. Often, these cue words are a shortened version of an instruction your coach gave you in practice. For example, you might use to cue word ‘push’ to remind yourself to push over the top on your aerial or ‘stick’ as a reminder to stick your landing. The University of Utah women’s gymnastics team had a very successful 2018 season and many of the gymnasts credit the use of cue words for helping them stay focused and perform. Utah senior, Maddy Stover, who battled shoulder injuries all year, employed an effective method to improve her focus over the course of the year. Another Utah senior, Kari Lee, effectively utilized cue words to win the battle over distractions and sharpen her competitive focus. 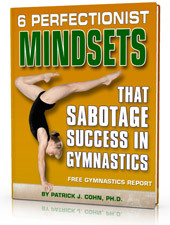 Just like the Utah gymnasts, you need to win the mental battle first, before you can win the battle on the mat. 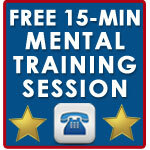 Shorten the instructions your coach gives you in practice into a cue word or mental choreography of your routine. Cue words are most effective if they consist of 1-2 words per skill. Try not to over think your skills in competition. Be aware of your most common distractions–so you can refocus. Practice your mental choreography in training sessions so you can retrain your mind to focus on your routine rather than the distractions. If you control your focus, you will be in control of your performance in competition.